Did you know? The word "honeymoon" dates back to 1552 and carries the significance that the first month of marriage is the sweetest. The term "making a beeline for", describes the shortest and quickest route the nectar-gathering bee follows to return to the hive. 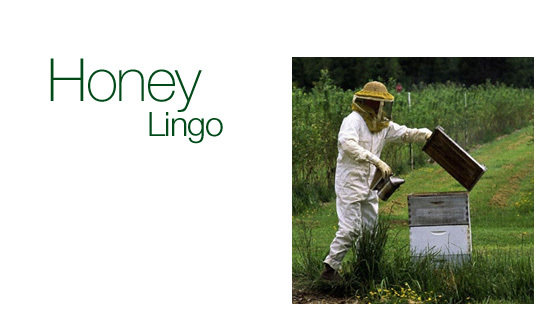 A beekeeper is called an "apiarist". An apiary is a location where beekeepers set out a group of beehives. They are commonly referred to as a "bee yard". While bee "skeps" (old-style beehive shaped structures) are not in widespread use today, their charm continues to be associated with beekeeping. The modern rectangular beehive is merely a more convenient adaptation to the honeybees' behavior. Utah is known as the "beehive state". In the 15th century, honey was known as "the soul of flowers".